If the Patek Philippe watches were served on a platter, they alone could be considered the main meal. There’s something about a timeless, classy Patek Philippe watch that makes it the center of attention. Perhaps it’s the powerful engineering behind its gorgeous movements? Perhaps it’s the exceptional material used to create a stunning bracelet? One thing is for certain: There’s no brand that can compare to the Patek Philippe! But with great responsibilities come great expectations. And if you’ve invested in a Patek Philippe, it goes without saying that you need to main its beauty. If you’re one of those people who tend to forget your watch everywhere, you know this one’s a frustrating problem! So if you see some moisture in the dial or on the hands, it’s time to take it to a watch repair specialist. Why is this important? Well, for one, watches are a combination of intricate mechanical parts so you don’t want water seeping into those tiny parts. A watch specialist will be able to easily get rid of the moisture from the case and clean it thoroughly for you! If your Patek Philippe has a habit of skipping several seconds, don’t worry about it. Most watches are battery operated so sometimes, it can be an issue with the battery. This is completely normal for anyhigh-quality watch, so don’t panic! This is why you should get your watch serviced every 3 years. An expert or watch specialist can do this for you. They can repair or replace the battery as well and show you how to take care of your Patek Philippe with ease. Your Patek Philippe has been your best friend for years and has never once given up on you. But now it seems that it’s difficult because the crown isn’t screwing in against the case. It’s probably from years of use and exposure to dust and water. In such a case, take it to a watch repair service in Breckenridge, CO immediately! If you’ve dropped your watch on concrete and there’s a “rattling” sound, it’s time to take it for a check-up. While the Patek Philippe is known for their sturdy, durable, and reliable watches, you can never be too careful. This is especially if you’ve accidentally dropped it from a high place, or into water. That’s when you know you can’t take a risk and need to take it to an expert who has the knowledge and expertise to help you. Don’t give your watch for repair to just about any watch repair service in Breckenridge, CO! 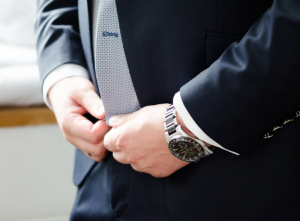 Take it to a service that places you as its number one priority. Today, Scott Matheu, his son, now operates Matheu’s Fine Watches & Jewelry. Scott Matheu had a vision to open a watch store in Breckenridge, CO fifteen years ago. His vision has led Matheu’s Fine Watches & Jewelry to not only be the largest watch repair and service facility in the Denver Metropolitan area but also the entire state of Colorado! 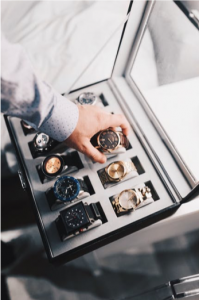 Whether you are in need of watch repair in Breckenridge, CO, watch engraving, or even if you have an antique watch that you would like appraised, you can count on Matheu’s Fine Watches & Jewelry to provide you with superior service each and every time. All of our watchmakers are factory trained and CW21 Certified by the American Watchmakers and Clockmakers Institute (AWCI). This certification has the most stringent standards for watchmakers performing repair, restoration, and service work on watches. With the largest service centers in the metropolitan Denver, CO area we are not only able to provide watch repair in Breckenridge, CO but to the entire 50 states as well. Matheu’s Fine Watches & Jewelry is also a factory authorized service center for Hamilton, Tag Heuer, Breitling, Tissot, Oris and many more brands. When you use Matheu’s Fine Watches & Jewelry for your watch repair in Breckenridge, CO, you can rest assured knowing that we have the latest authorized equipment and technology to service your timepiece and you will also receive our (2) two-year warranty on major watch repairs that we provide. 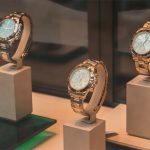 If you are considering getting your valuable timepiece repaired or restored, because of our CW21 Certification, you can be confident that Matheu’s Fine Watches & Jewelry will provide you with the highest quality level of watch repair and service in Breckenridge, CO. Our CW21 Certification ensures that we possess the superior skills and knowledge for servicing quality watches.